St. Dominic Savio Catholic School students are recognized for serving at the Feed My People during the 9th Annual Spirit of Compassion awards Dinner held by the Foundation of the Homeless. Each Thursday, a group of Savio faculty, staff and students depart the school at 4:30 AM to help serve breakfast to the homeless in downtown Austin at the First United Methodist Family Center. of the Homeless for the work they continue to do. 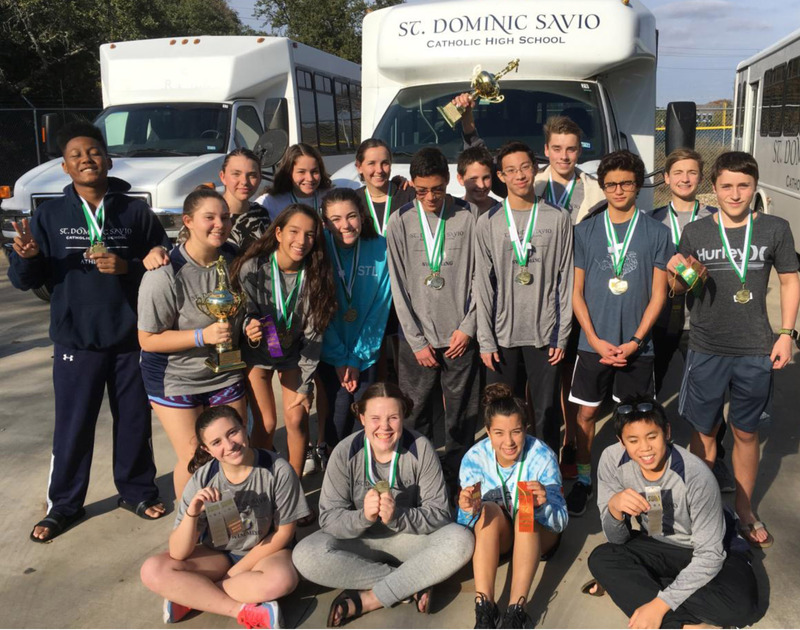 This all began in 2014, when the junior class of St. Dominic Savio Catholic High School were on a Street Retreat in downtown Austin. The Street Retreat is a pilgrimage that Savio students make their junior year to encounter Jesus Christ in one another and anyone living on the streets. When the Savio students saw the need for the program to feed the homeless through the Feed My People program, they asked to continue to serve additional Thursdays to offer food and become a friendly, caring presence to the homeless of Austin. Please join St. Dominic Savio Catholic High School and 21 other schools in the National Catholic Schools Week celebration, for the Diocesan 10th Annual Honor Roll: Celebrating Catholic Schools Awards Dinner. 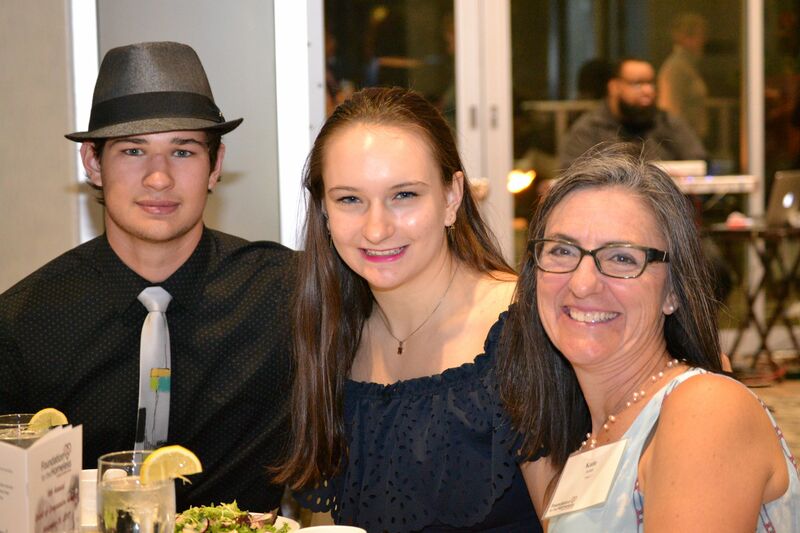 The Awards Dinner will recognize the “unsung” heroes at each of the 22 Catholic Schools and will help raise needed funds for Catholic School families around the Diocese of Austin. The Celebrating Catholic Schools Dinner is on Saturday, January 27, 2018, at the Hyatt Regency Town Lake, featuring America’s Next Top Model Leah Darrow. 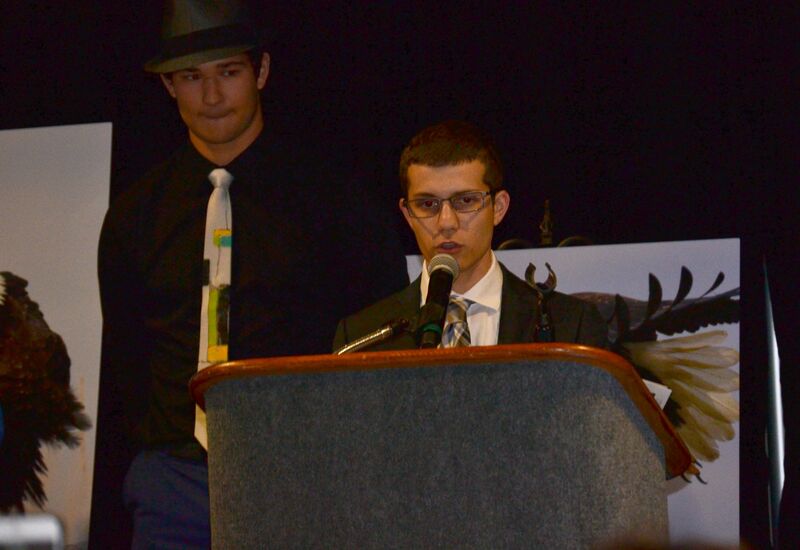 The Award Dinner Presentation will begin at 7:00 pm. Please visit the Catholic Schools Diocese of Austin website to purchase a table or find more details about the event. 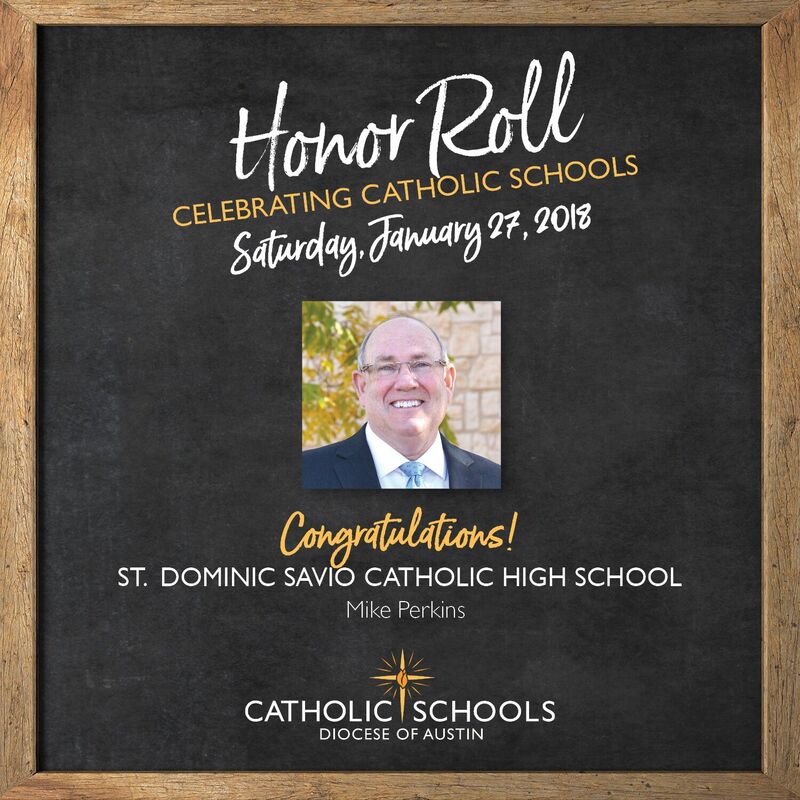 Mike Perkins has served St. Dominic Savio as a parent with his wife, Sharon, and daughter Susan, who was a student in the inaugural sophomore class and the first graduating class in 2012. 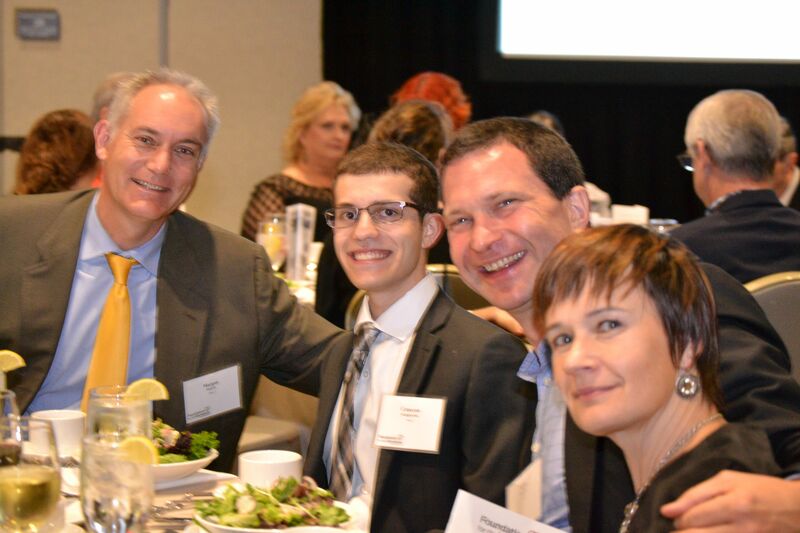 Mike has served as an advisory member of the Board of Directors, since before Savio opened its doors in 2009. Calling on his experiences as Chair and/or Director of the Boards at each of his children’s Catholic schools, Mike has assisted Savio as the Chair of the Development Committee for seven years and the Catholic Mission Committee since its inception. On Saturday, November 11th, St. Dominic Savio Catholic High School held it 9th annual book fair at the Barnes and Noble Lakeline Mall location. This year, the book fair was coupled with the Fine Arts Department Coffee House, open mike feature. With all the wonderful activity of listening to our students perform and their families and friends supporting them, activity for the Book Fair also increased, making the fair a momentous success! The online Book Fair continued through Thursday of the following week. Thank you for everyone’s participation, both in-store and online, as well as food and beverage purchases at the in-store Starbucks. The Savio Library was able to make over $235 to spend! The Barnes and Noble managers said that they had never seen the line wrapped around to get an item at Starbucks. With these proceeds, we can buy more quality books to build up our Library, as well as purchasing books requested on teachers’ Wish Lists. Thank you to the parents and students who performed and listened. Thank you especially to Mr. Doug Schneider for his leadership in the Coffee House and Mrs. Otten for all her support. Be sure to check out and read our new books! One classical piece of literature that only AP English III students read is The Scarlet Letter. After students read and discuss the moral and societal issues that are presented in the novel, they are assigned a project to reflect on their own flaws (that corresponds with their identity) and examine the flaws in society. Students make a “scarlet letter” symbol that represents their secret sin (flaw). The symbol is meant to be ambiguous and the flaw is meant to be a secret from society. Students wear this symbol for a week: during school and outside of school (at home and in public) and then are asked to write a reflection paper on their experience. No Shave November: Throughout the month of November, students, faculty, and staff at Savio helped to raise awareness and funds for St. John Paul II High School in Corpus Christi, a school that was affected by Hurricane Harvey. Students were permitted to grow facial hair throughout the month and two students, seniors JP Strubbe, and Nick Fedele, were commended as the students with the Best Overall Beards. Through this event we were able to raise $280 for JPII High School and will continue to pray for their needs as they recover fully over the years to come. Congratulations to the following volleyball girls for their performance during the 2017 season. The boys and girls Swim teams demonstrated what teamwork can do at the Burnett 4A & Under Swim and Dive Championship Invite on December 2nd. Both the boys and girls put in the best individual and team effort of the season resulting in first place finishes for both teams with 5 of 6 relays finishing first. Outstanding efforts were led by an extraordinary come from behind swim by the boys in the 200 free relay. In a brand new combination, Jalen Johnson and Nathan Lewis got less than 4 minutes rest after swimming the 500 free, Andrew Slezak put in one of his best sprints and Reilly Gilbert demonstrated the importance of finishing strong as they took first by 2/100s of a second!